Actor Alex Rich talks with press about his role as young Picasso on NatGeo "Genius: Picasso." 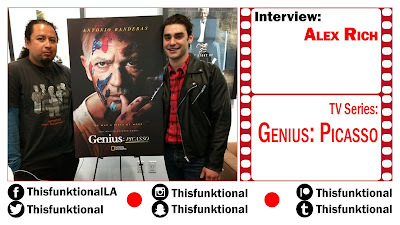 Rich talks about working with Antonio Banderas to capture a similar Picasso voice and attitude, the inspiration he has taken from portraying Picasso and the incredible time it has been while getting to portray Picasso. Airs On Tuesdays At 10/9 c.